J. I. Case High School is located in Mount Pleasant, WI, a suburb of Racine. It is a public school built for grades 10 to 12 with an estimated student enrollment of 2,022. Built in 1966, J. I. Case High School (Case) was named for Jerome Increase Case, the inventor of the threshing machine. In 1966 there was another school, Gifford Junior High School, in the process of being built for grade 7 - grade 9. Because Gifford was not completed in time, in 1966 Case became a school for grades 8 to 12 until Gifford's completion . In 1967 Case became a school for grades 10 to 12 for the rest of its years. Case students are divided into three subschools: Green, Gold, and White. The school mascot is the Eagle. The school colors of green and gold were chosen after the Green Bay Packers. Jerome Increase Case (1819-1891) was born in 1819 to a New York State farming family. As a young child Jerome developed an interest in agriculture. He took a small, hand-powered threshing machine from Williamstown, NY to Rochester, WI where he fixed the machine and established The J I Case Tractor Company. In 1843 Jerome moved the company to Racine, WI in order to have better access to water and facilities, where more threshers could be built and repaired. 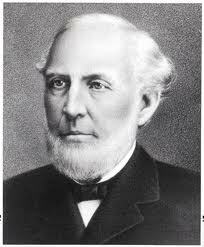 In 1842, Jerome created the J I Case Company. 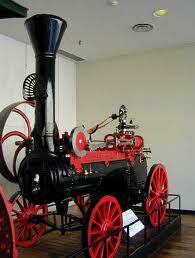 He was later recognized as the first American to create a steam engine for agricultural use. 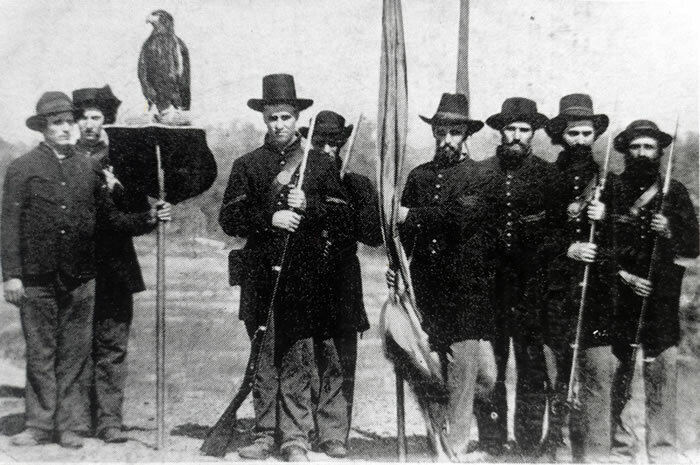 Jerome introduced an eagle logo for the first time in 1865 after a legendary Wisconsin Civil War Regiment's mascot. In 1863, Jerome sought partnership with three other farmers, Massena Erskine, Robert Baker and Stephen Bull. These four would later be nicknamed "the big four" of the farming industry. Jerome was also involved in politics, becoming mayor of Racine three times, and state senator twice. He was also involved in other endeavors, such as science, arts, banking, and president of several Racine agricultural associations. Jerome was also a race horse owner. In 1890, The J I Case Tractor Company expanded to South America. By 1895 the Case Company had begun to produce gasoline engines. In 1904, Jerome had introduced the first all steel thresher machine. In 1919, the John Deere Company entered the harvester business. The J I Case Tractor Company evolved into The Case Company as World War II arrived. The Case Company was involved in the manufacturing of shells for the United States and allied forces military, as well as airplane parts for the B-26s, and bombs. For the next 31 years, the company went through more globalization, becoming a well-known company in the agricultural markets of Australia, Japan, and other places. Many other companies joined The Case Company during this period. The Case Company became The Case Corporation and was joined with New Holland N.V. to become CNH, now CNH Global, in November 1999. 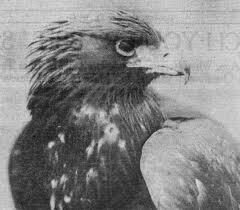 Old Abe (1861 – March 28, 1881), a female bald eagle, was the living mascot of the 8th Wisconsin Volunteer Infantry Regiment in the American Civil War. During the Civil War Old Abe was captured in 1861 by Chief Sky near the Chippewa River, near the town of Jim Falls, in Chippewa County, WI. She was subsequently traded to local farmer, Daniel McCann, for a bushel of corn, who in turn sold her to the 8th Wisconsin's Company C for $2.50. 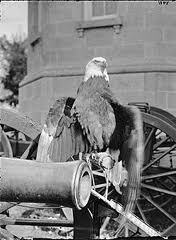 the eagle after President Abraham Lincoln, and designed a special perch on which they carried the bird into battle. Old Abe participated in the Second Battle of Corinth and the Siege of Vicksburg, among other battles. In battle, Old Abe quickly became legendary, screaming and spreading her wings at the enemy. Confederate troops called her the "Yankee Buzzard" and made several attempts to capture her but never succeeded. Several times she lost feathers to bullets and saw her handlers get shot out from under her. When passing by, Generals Ulysses S. Grant, William T. Sherman, and William Rosecrans were known to doff their hats at the eagle. 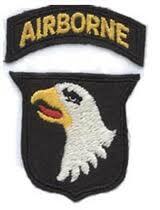 The screaming eagle mascot is depicted on the insignia of the U.S. Army's 101st Airborne Division. 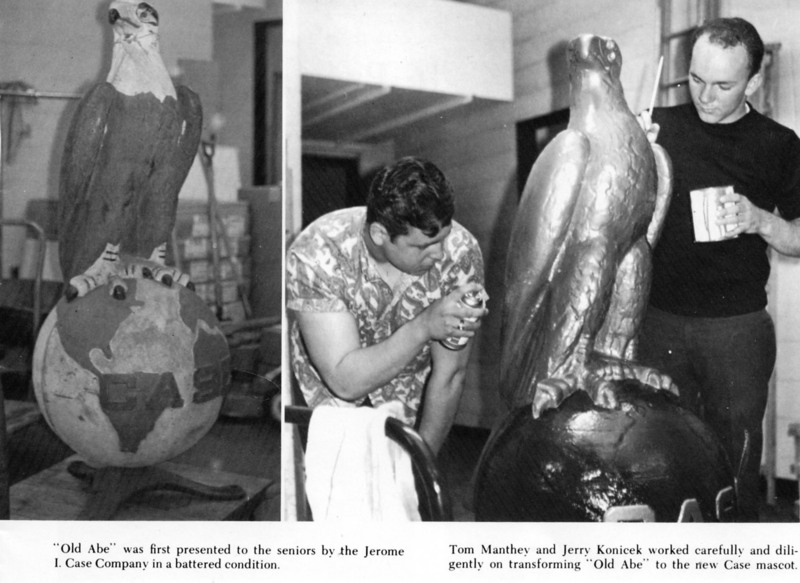 Old Abe was also the trademark eagle on the globe of the Case tractor company. In 1968, J. I. Case Company donates "Old Abe" to J. I. Case High School. The 1968 senior class painted it green and gold, the colors of our school. Old Abe is the mascot of J. I. Case High School, whose athletic team is known as the "Eagles".